Goupil de Bouille will be tasked with significantly increasing Infiniti's sales in Europe. Infiniti named former Ford Motor executive Francois Goupil de Bouille as head of its European operations to succeed Fintan Knight, who Infiniti said had "elected to pursue interests outside of the company." Knight, a former Audi and BMW executive, had been in the post for less than a year. He joined Infiniti on May 1, 2013 from Lamborghini, where he was head of sales and marketing. 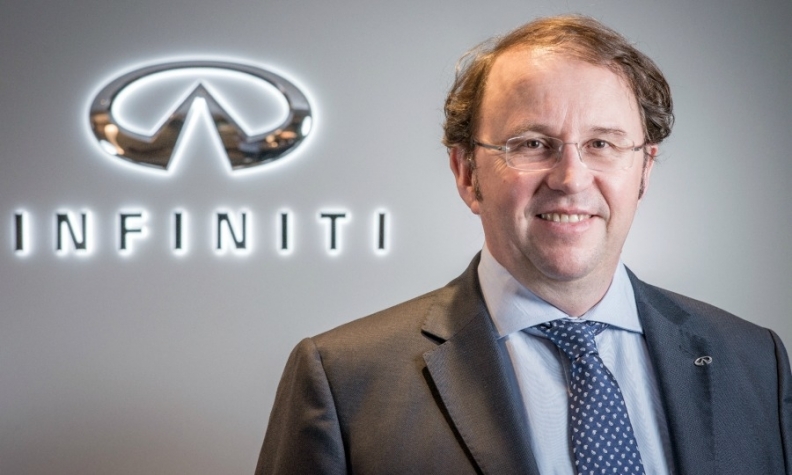 Goupil de Bouille, 56, replaced Knight on April 1 after moving to Infiniti's European headquarters in Rolle, Switzerland, from Hong Kong where he was head of the brand's global operations. Infiniti President Johan de Nysschen said in a statement that Goupil de Bouille has a wealth of experience in Europe and an "impressive track record." Under Goupil de Bouille's leadership, Nissan tripled its annual sales in Russia to 150,000 to become the No 1 Japanese brand in the country, the statement said. Goupil de Bouille started his auto industry career in 1987 at Ford France. He held several executive positions in sales and aftersales for Ford in France and Europe before joining Nissan in 2002 as a commercial director. He led Nissan’s operations in Russia and Ukraine from 2009 until he joined Infiniti. Infiniti is seeking to significantly increase its sales in Europe by introducing new models such as the Q30 compact car that will be built at Nissan's factory in Sunderland, England, starting next year. Infiniti's European sales fell 27 percent last year to 2,173 vehicles, according to JATO Dynamics.